Spencer Johnson - author of Number one bestselling business book Who Moved My Cheese? 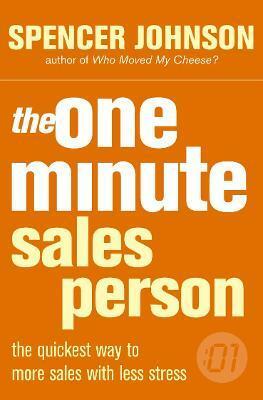 and business guru Larry Wilson teach the principles of the One Minute Manager to the sales-person in this motivational business book. Practical advice is offered to help the struggling salesman - covering useful pointers for how to behave such as :treat customers like people, listen carefully to their needs, use after-sale calls to generate good will and referrals; as well as motivational, confidence boosting tricks which help bring sales to completion with minimum of effort. Spencer and Larry prove that bad track records can be smashed by applying the simple techniques learnt here and by "helping people...to feel good about what they buy." Creating positive mental states in the customer and the salesperson provides the right environment for a sale.